I had been on the hunt for a perfect cape and I finally found one at none other than Forever 21. 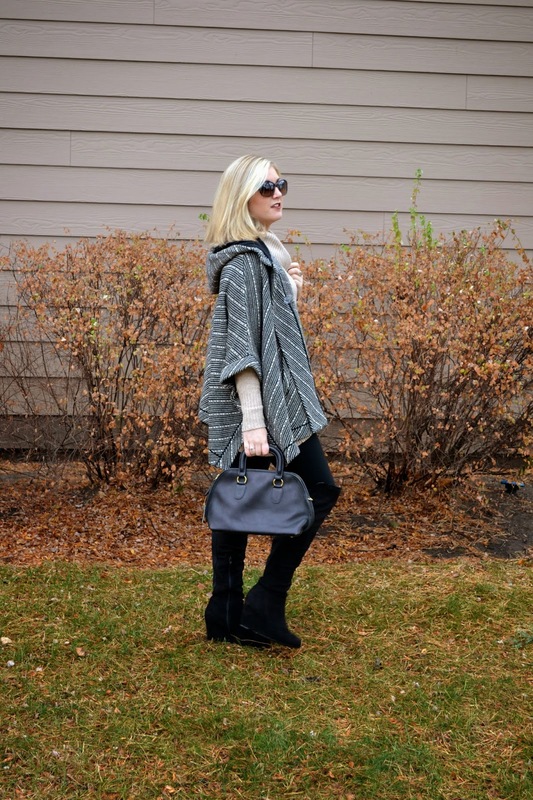 I love being able to find such chic pieces at an affordable price and the stripped detail of this cape really pops. I thought all of my cape wearing dreams were crushed when winter weather came in this week with no signs of stopping, but we luckily found a break this weekend when fall made a semi-comeback (it got to almost 50 degrees!). I decided to pull it out while I had the chance and pair it with a cozy cream cowl neck sweater for extra warmth. 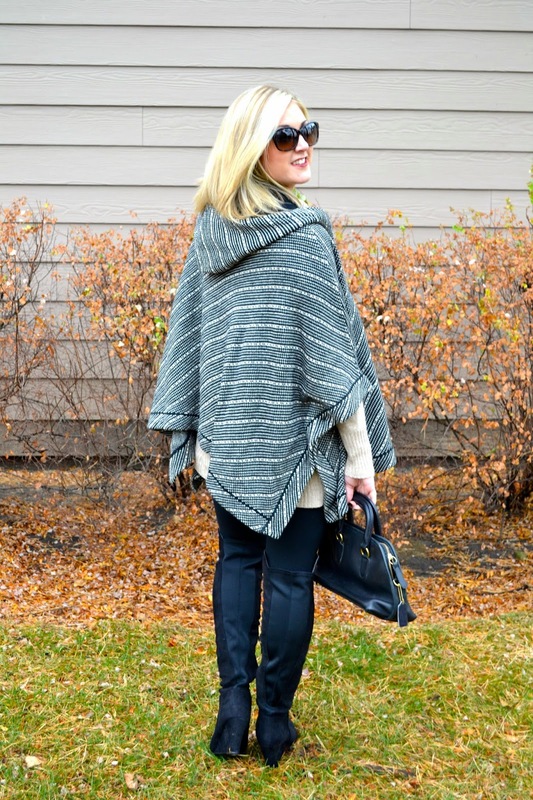 It was the perfect layering outfit for savoring the last days of fall.